- Patron of the mystical life. - Feast Day: December 14th. This 18" heavenly statue features an exquisitely hand painted face and details such as fingernails and eyelashes, tiny hand made rosary, true Carmelite coloring, and golden halo. John holds the crucifix in one hand and his writing quill in the other. All our statues are handmade in the USA and made to order. Please allow 5-9 weeks for us to make and ship your statue. 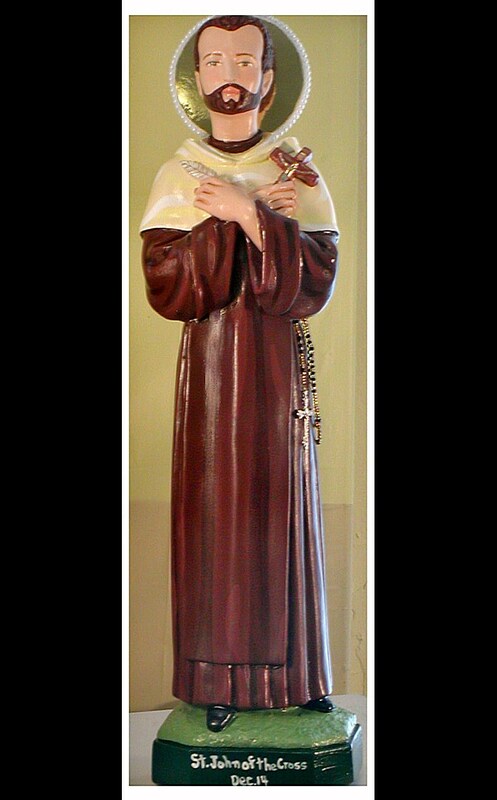 We will also touch a 1st class relic of St. John of the Cross to your statue.